“THE WATER MARGIN is big. Really, really big. 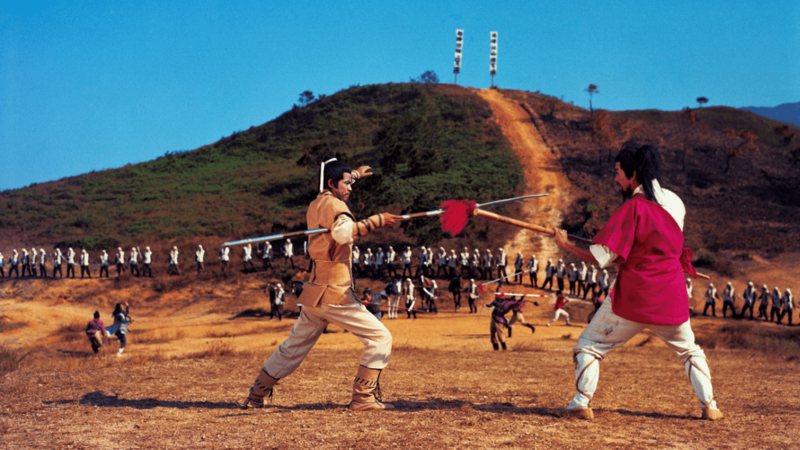 Even for a Shaw Brothers production directed by Chang Cheh at the height of his popularity, it’s huge. Involving just about all of the action stars on the Shaw payroll at the time, enormous sets, lots of outdoor shots and four action choreographers, it really shows off the ‘house style’ SB is famous for. It’s an adaptation of a small part of the Chinese classic of the same name (sometimes also translated as OUTLAWS OF THE MARSH or ALL MEN ARE BROTHERS.) Written some time in the 15th century, it details the exploits of 108 outlaws based in Liangshan during the time of the Sung dynasty in 12th century China.